Lenovo on Thursday introduced new devices in its Smart Home portfolio, joining the Smart Display which was launched at CES earlier this year. 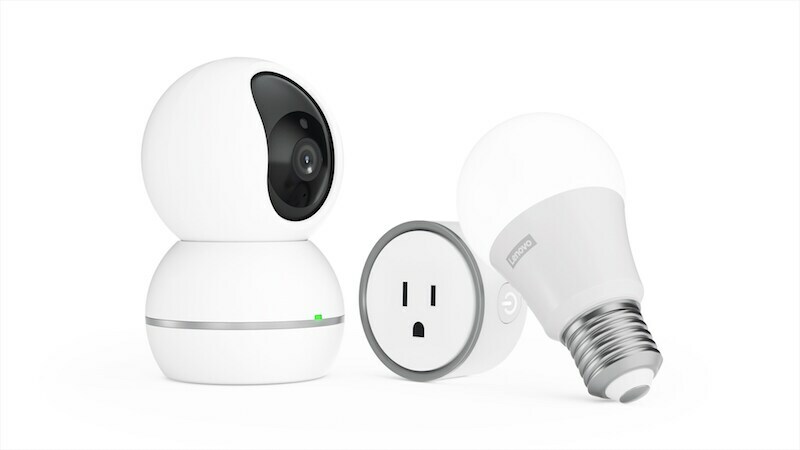 The new products introduced include the Lenovo Smart Plug, Smart Camera, and Smart Bulb. These smart home devices can be set up and controlled via a Lenovo Link App giving users complete control over all devices in a single app. Alongside these smart home devices, Lenovo also introduced three new Chromebooks ahead of IFA 2018. The new devices are the Yoga Chromebook, Chromebook C330, and the Chromebook S330. They run Google’s Chrome OS and sport up to 4K displays, and 8th Gen Intel processors. Lenovo’s first device, the Smart Display was launched in January as a part of Google’s Smart Display lineup to take on Amazon’s Echo Show. The Lenovo Smart Plug can be plugged into a regular socket letting users control devices that are plugged into it - so, you can remotely switch on/ off any appliance plugged into the smart plug. Lenovo says that it’s built in a way to avoid blocking adjacent ports and that it also has a surge protector built-in. Lenovo Smart Camera is a surveillance camera that lets you watch live video footage. It has a 355-degree field-of-view side to side and a 120-degree view up and down. Apart from this, it has an infrared night vision which lets you see at night up to a distance of 20 meters. Lenovo also says that the Smart Camera houses a mic and a speaker which gives it two-way audio capability. Lenovo Smart Bulb plugs into a normal bulb socket and can be controlled wirelessly. Apart from switching it on and off, you can control the colour temperature and the brightness using voice. It can also be automated at specific times of the day. All these smart devices can be controlled using a single Lenovo Link app or by using the Smart Display. The Lenovo Smart Essentials range of products will be available in the US in November and is expected to expand to other markets including EMEA and Australia later. Lenovo’s Chromebook C330 has a 11.6-inch touchscreen with HD resolution. 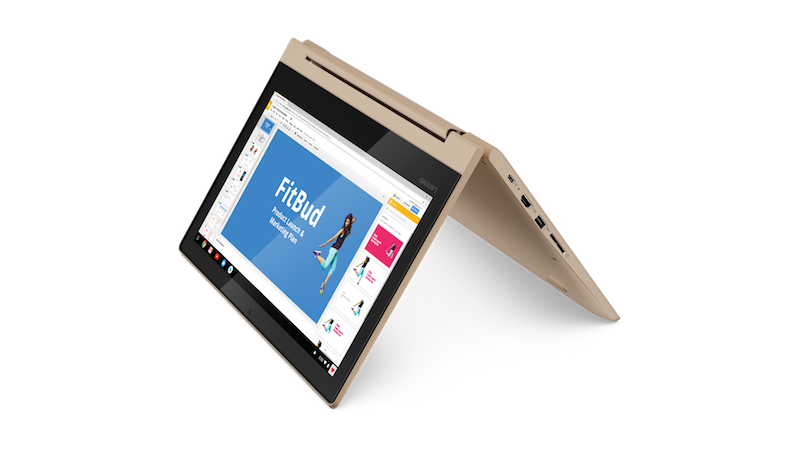 This also has a convertible design and users can choose between a tent, tablet, laptop, and stand mode. Powering the Chromebook C330 is a MediaTek MT8173C processor, coupled with 4GB of RAM. It comes in 32GB and 64GB storage options. Connectivity options on the Chromebook C330 include a USB Type-C port, USB 3.0 port, HDMI, Bluetooth 4.1, and WiFi 802.11 ac. The company also launched the Lenovo Chromebook S330. It has a 14-inch IPS touch display and buyers have the option to choose between HD and full-HD resolution. Just like the C330, this too is powered by a MediaTek MT8173C processor and has 4GB of RAM. It will be available in 32GB and 64GB storage options. The C330 and the S330 will be available in EMEA regions from November with prices starting at €349(roughly Rs. 28,800) and EUR 279 (roughly Rs. 23,100).